Cheap Ivory Tulle V-neck Trumpet/Mermaid Court Train Wedding Dresses in Mermaid Wedding Dresses - Wedding Dresses - Wedding Guest Dresses at Bonnyin.co.za online South Africa with high quality and affordable price. 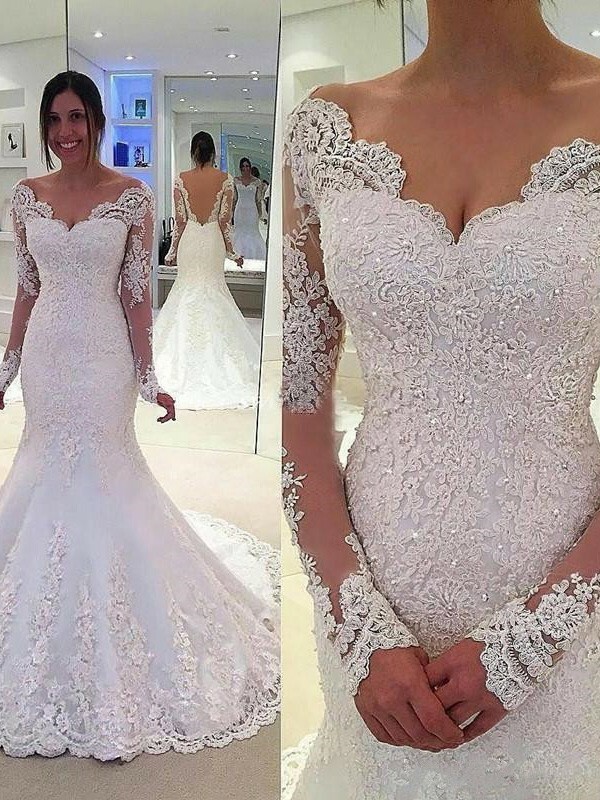 I received my dress today and to be honest, the only reason I buy my wedding dress online is because of the reviews. So I received the dress today and exceeded what I thought I would receive. I am very impressive with the light in the box. The work is amazing!